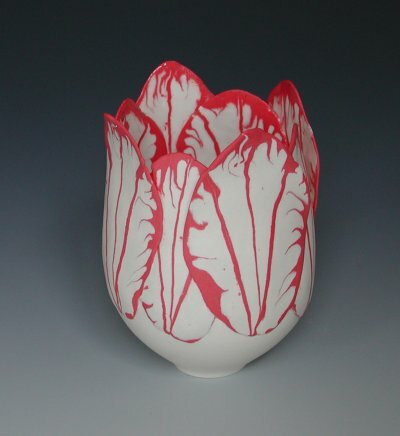 There is a certain dream like quality to porcelain. Its delicate and fragile yet hard and strong. It plays with the light and shows you different things each time you look. 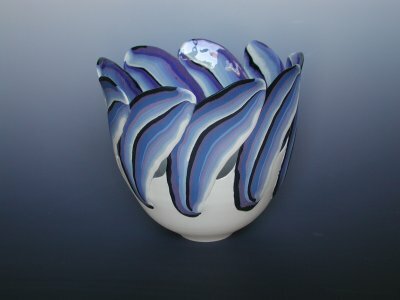 Weaving colour into porcelain is a complex technique but when mastered the results are magical. I hope you enjoy my work! My work in porcelain clay combines my love of nature and my study of layering colour in porcelain. 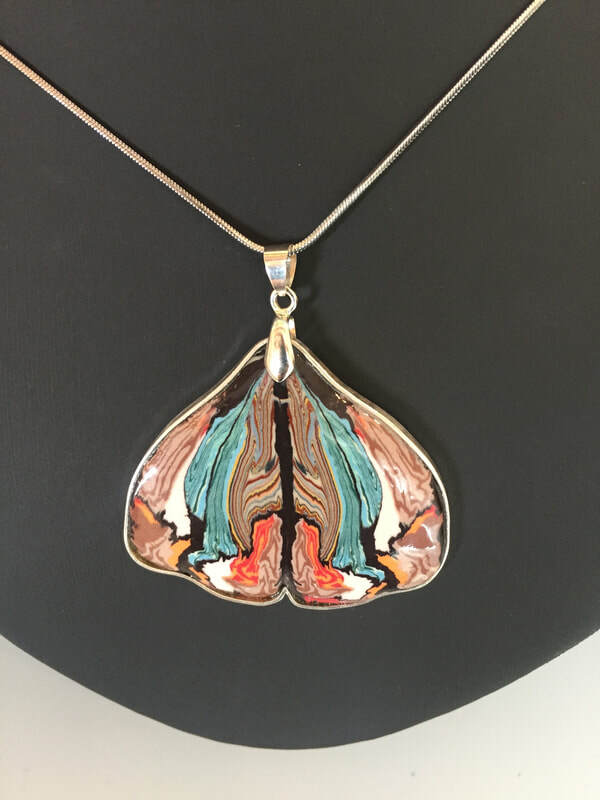 I use my own unique techniques to hand stain and colour porcelain, build up layers of colour and then make very delicate slices which I use to form my pieces. I produce timeless ceramics in the form of vessels, sculpture and jewelry. 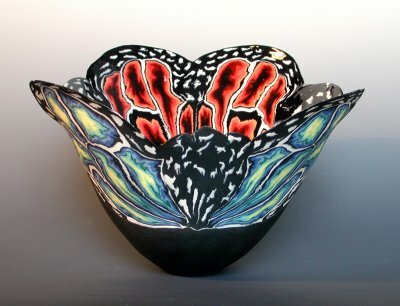 I am currently exploring the exceptional colours to be found in botanicals and butterflies to continue my vase and jewelry series as well as starting new projects in wall art and fabric design. If you would like to purchase any of my work for your collection, home interior or as a gift then you can contact me directly via the Purchase page for a specific piece or the Contact page for general inquiries. I accept private commissions and am available to exhibit and run workshops in my unique techniques across the world. Here's a quick look at some of the exhibitions I am participating in and the workshops I am running. For more information you can visit the Exhibitions and Workshops pages on this site.